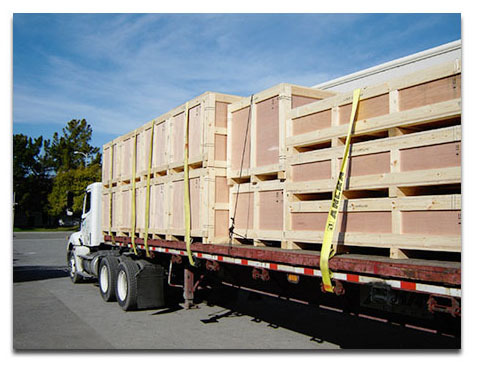 We can build your order in advance and hold it at our facility. And, we can monitor crate or pallet inventory at your site and re- supply as necessary. You’ll never give it a second thought, run out, or invest in too much inventory. Plus you’ll save management time and space at your facility. Many companies today recognize the importance of focusing on a smaller number of core, long-term strategic supplier relationships with best-in-class vendors. 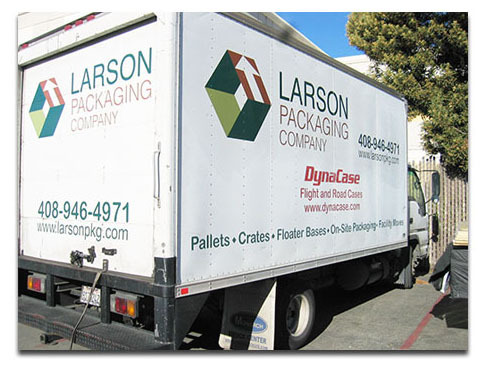 Larson Packaging Company should be your strategic wood packaging partner. We have the skills, capabilities, and professionalism to work with you at all levels of your organization to understand your program, your goals, and deliver results working together to keep your supply chain lean and lowest-total cost. Because of our location, flexible manufacturing facility, lean manufacturing approach, and local truck fleet, we can work with you to keep your packaging inventory low, yet ensure constant and adequate supply just-in-time for your logistics needs. We can manufacture to your order, just-in-time, and/or maintain an adequate inventory, housed at our facility , shipping and invoicing as you need them. As your business conditions change, we can react quickly by building or reducing supply as required, with minimal lead time. Let us take the headache out of your packaging inventory management. We have a flexible fleet of power units, flat-bed trucks, vans, and trailers (including air ride) that enables us to cost- effectively deliver crates, cases and pallets in any quantity to your business. This map illustrates our standard local service area. If your business is located outside this area, we can arrange for a 3rd party transportation partner. We can also arrange logistics and trucking outside of the area.